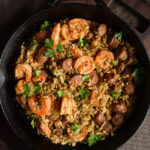 I’m not sure how my husband will feel about me sharing this shrimp, sausage, and caulirice skillet recipe. You know how back in the day, families would keep their traditional recipes close to the chest, passing them down only to family members? If my man spouse had his way, I think this recipe would be that. This abashedly simple one skillet meal would become our staple. We’d make it regularly for ourselves and for dinner parties. Our astonished friends would gush over how delicious it is, not-so-hypothetically wondering how I made it. And Tjay and I would laugh and give each other a look and he would beguilingly say “it’s Chelsea’s signature recipe” or something equally dodgy. But I have a food blog, and that’s not how food bloggers operate. So, I’m sorry, Tjay, but I’m sharing the recipe. I’ll admit; I was hesitant about posting this recipe with these photos. I feel very iffy about them. As a very-poorly-self-taught photographer, I have hits and misses. Recently, I’ve tried to take my skills to the next level—I’m reading and learning more about food photography. But still, the pictures I end up with sometimes disappoint me. In this case, I was so thrilled about this recipe that I wore rose-colored glasses while I took the pictures. And as I edited them and prepared them for the blog. It wasn’t until I started putting this post together that I thought “Woah…is that the best I can do”? I presented the pictures to Tjay. He insists that the pictures look as good as the food tastes. And then I had to kick myself. If I was going to fret about the pictures being perfect, I’d take down half of my recipes and never post another recipe again. Wrapped up in learning more and practicing more, I forgot that I’m still developing. Reading a book doesn’t make you a pro. Reading an article doesn’t fill an experience bar. It’s a process involving ups and downs. So while I’m still improving, my pictures may come up a little short. And someday, I may retake these pictures altogether! But for right now, you get these. 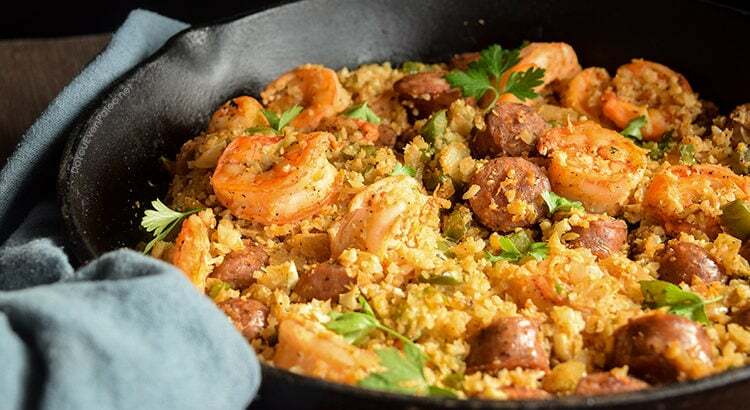 With only 5 main ingredients (outside the spice blend), this shrimp, sausage, and caulirice skillet is quick and easy. This recipe makes a huge helping of food—enough for 4 large servings! Plus, it reheats well, so it’s an awesome meal prep pick. The homemade Creole seasoning gives this dish its spiciness and warmth. 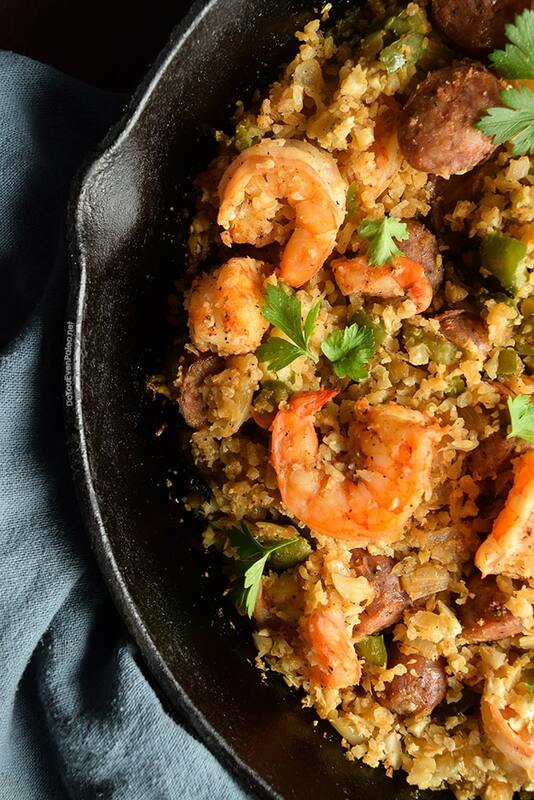 The instructions will leave you with extra, so store in an airtight jar until you make this skillet again! Oh, and if you’re unfamiliar with caulirice (aka cauliflower rice), please see my mushroom, bacon, and cauliflower casserole recipe for the quick instructions on how to make it. Basically, you just throw cauliflower florets into a food processor and pulse until it breaks down into rice-sized crumbles. Hmm, guess you didn’t need to visit the other recipe at all! To make the Creole Seasoning, combine all spices in a small bowl and mix. Heat olive oil in a large skillet over medium heat. Add sausage and cook for 5 to 7 minutes or until browned and cooked through. Add bell pepper and yellow onion to pan and cook for an additional 3 to 5 minutes until tender. Add shrimp and Creole Seasoning to the skillet and cook for 2 to 3 minutes, stirring occasionally. Stir in caulirice and cook for an additional 2 to 3 minutes until shrimp are pink and no longer translucent. 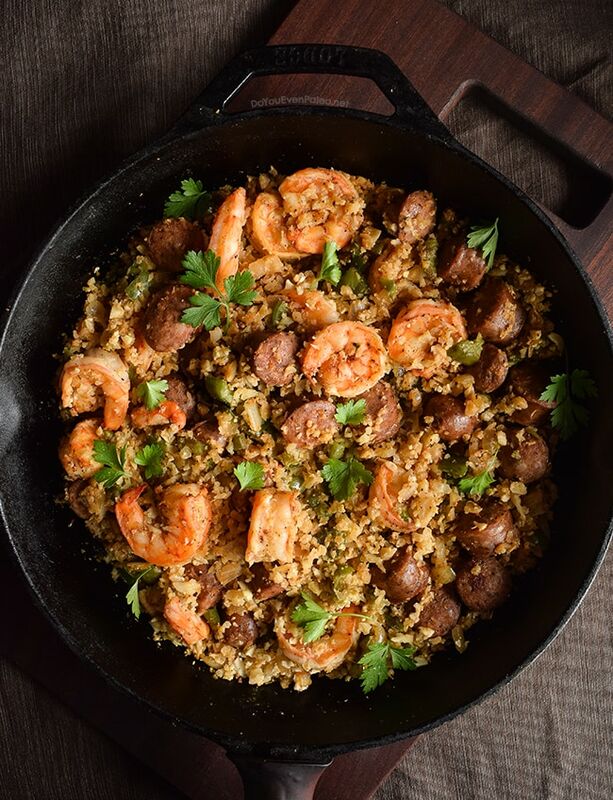 If you’re using pre-cooked andouille sausage, add it to the skillet when you add the shrimp instead of cooking it at the beginning. Fixed this last night for supper. Quick and delish. My son (a real veg hater) finished his serving in a heart beat. I had mine with a shake or two of Tabasco. And, I’m currently eating the last bit over a pile of greens for lunch. Nice job, Chelsea. Thanks, Sarah! I appreciate it! Tasty! Thank you for the recipe and the pics are lovely- very appetizing. 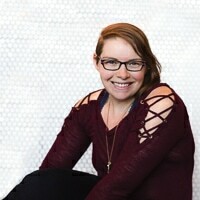 Thanks so much, Carie! Glad you enjoyed it! Very awesome recipe !! Thank you ! Don't subscribe All Replies to my comments Notify me of followup comments via e-mail. 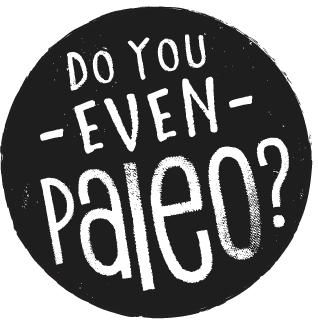 You can also <a href='https://www.doyouevenpaleo.net/comment-subscriptions/?srp=1968&srk=87505361eee98908ddf6ccb8681f50d6&sra=s&srsrc=f'>subscribe</a> without commenting.